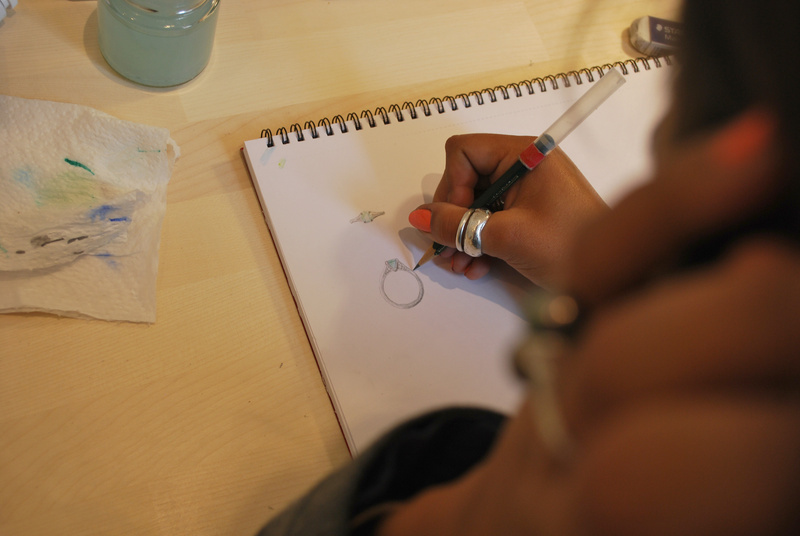 Elizabeth designed an elegant Platinum ring, comprising a delicate mix of Diamonds with an eye-drawing Aquamarine. She began the making with a Platinum block. So that the block can be worked, it is annealed – heated until the metal atoms align, allowing the structure to become more malleable. To achieve the desired thickness, the Platinum is hand-rolled. The mill compresses the metal, which becomes thinner and longer. This is now a tapered strip. The strip is curved and joined to become the ring. A repeated process of hammering on the anvil and filing and bending at the bench is required. 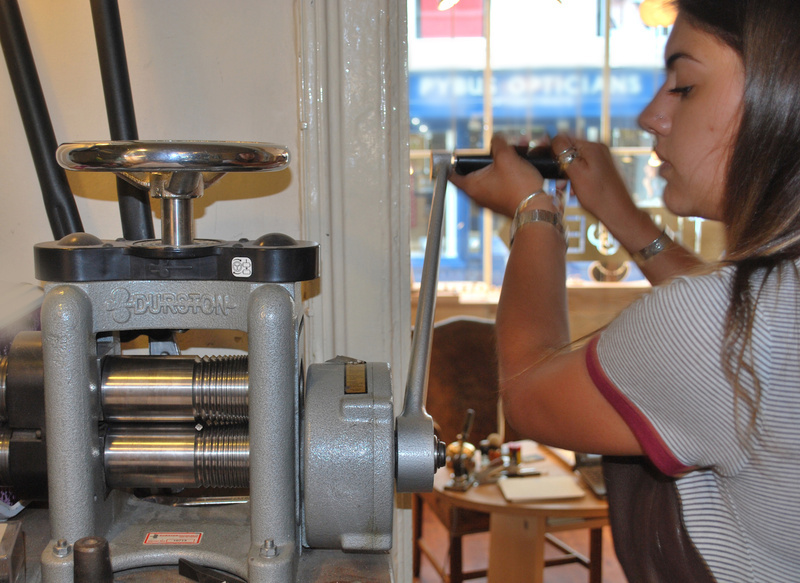 Elizabeth relies on her eye and experience to craft the correct shape for the desired design and finger size. 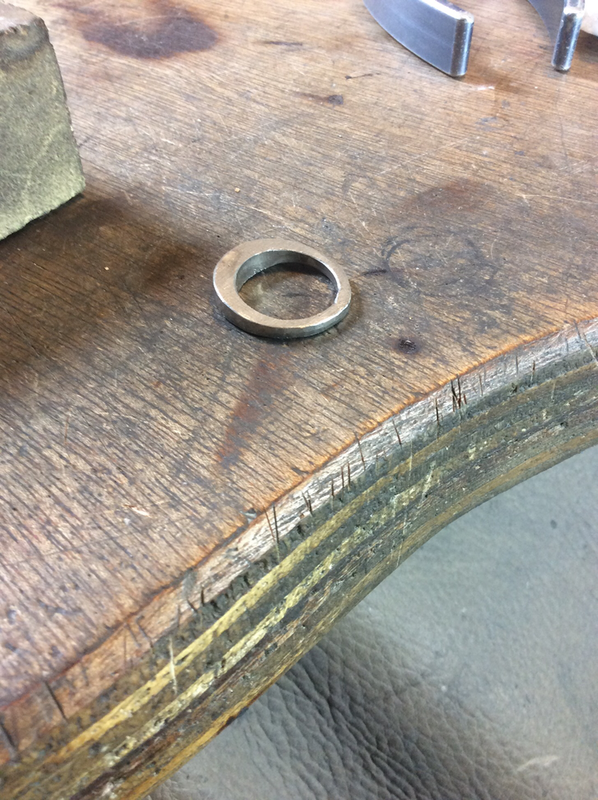 This is an exciting stage, as the body of the ring takes shape we get a true sense of how the final piece will look. 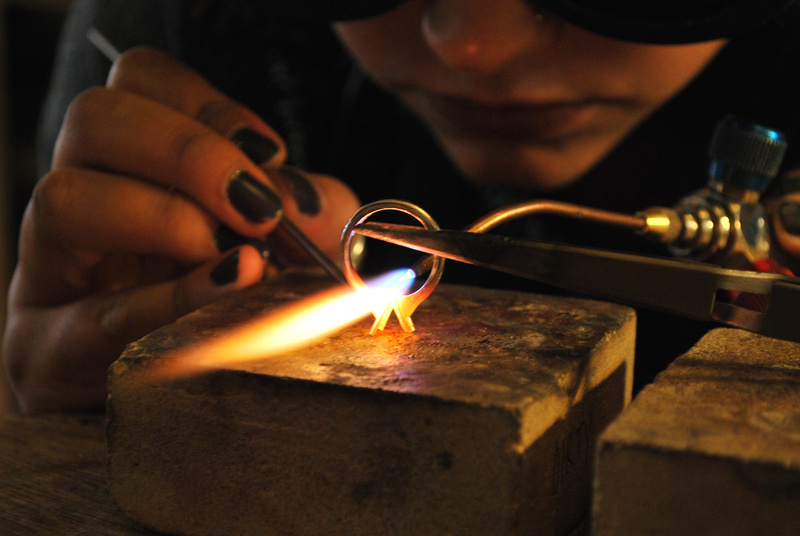 This traditional artisan approach is not often seen today, with many jewellers choosing to buy-in pre-fabricated ring casts. 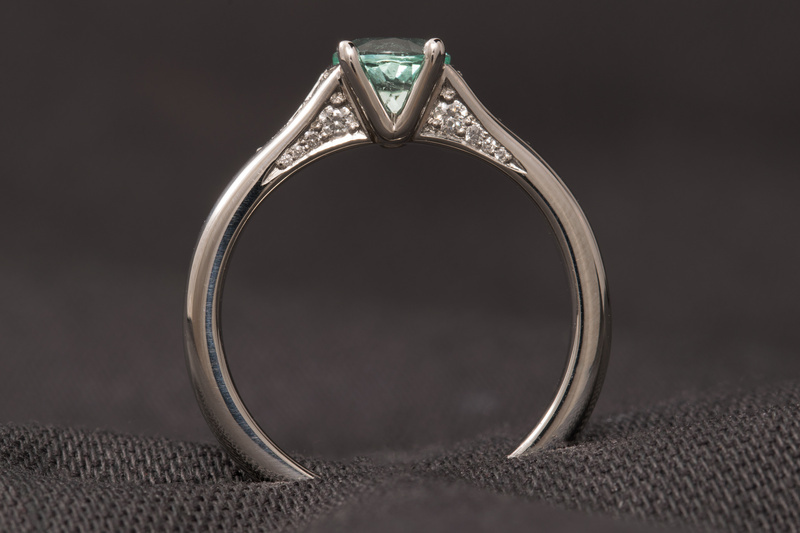 Once the ring is ready, the Aquamarine stone is placed at the top. Positions for the claw, which will hold the centre-stone, are marked. 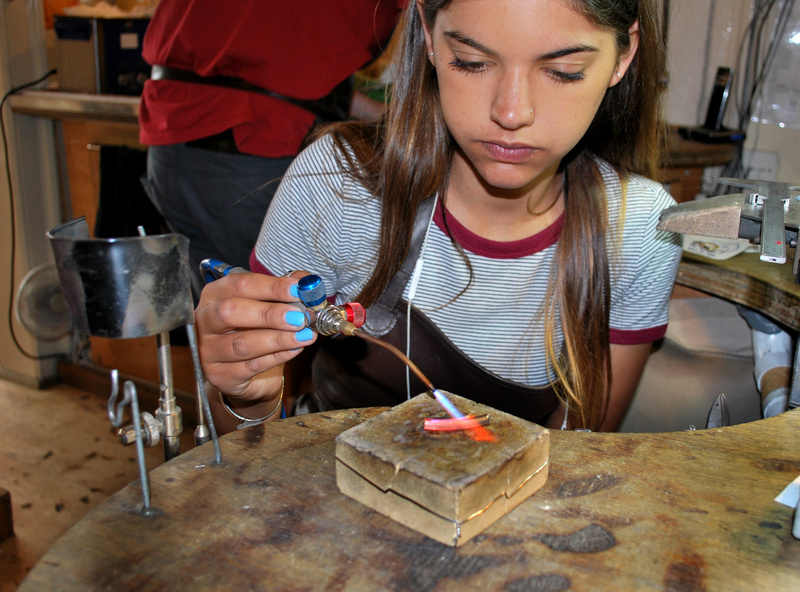 The claw arms are soldered-on and the piece enters the finishing stage. 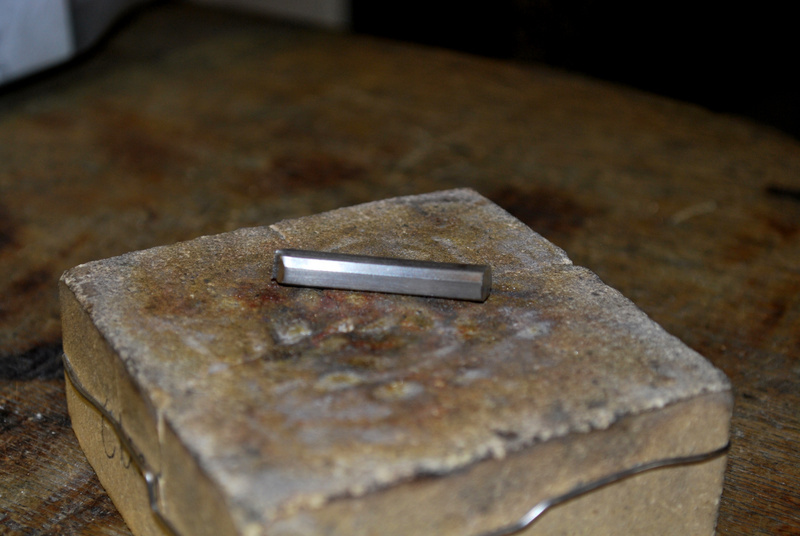 Repeated filing, shaping and polishing of the ring is undertaken, prior to the setting of the stones. In this Art Deco inspired design, Diamond accents flow along the shoulders and the sides, adding a gentle delicacy. 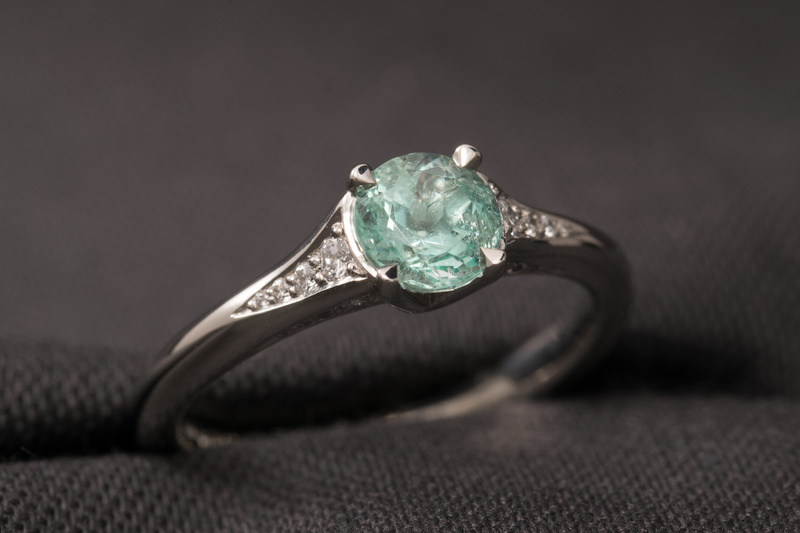 The unusual green blue sea coloured Aquamarine is set last, completing the journey from raw materials to understated beauty captured in a unique ring.